The origins of Laos, like most countries in Asia, are ancient and at one time the “Land of the Million Elephants” was a major regional power. However, following a succession dispute after 1695 the country fragmented into three different and competing monarchies; the old Kingdom of Lan Xang (Luang Prabang), the Kingdom of Vientiane and the Kingdom of Champasak. This, of course, meant each was considerably weaker than the nation had been before and while the three warred with each other, more powerful neighbors were able to take advantage. Burmese troops conquered the north for a time, Thailand dominated all three for some time and the growing power of Vietnam lastly made claims on the area. In the late nineteenth and early twentieth centuries all of this began to change with the arrival of the French. After establishing protectorates or colonies over Cambodia and the three states which had formerly been Vietnam, France wrested the dominate position in Laos away from Thailand and the area soon became part of French Indochina. The French protectorate was established during the reign of King Oun Kham of Luang Prabang. This made complete sense as the Chinese had invaded, sacked Luang Prabang and forced King Oun Kham (who was quite elderly at the time) to flee to Bangkok, barely escaping with his life. His escape was facilitated by the French civil servant Auguste Pavie who then helped negotiate the peace. He was then posted to Bangkok where he was a pivotal figure in the Franco-Siamese War that resulted in France replacing Thailand as the protecting power over Laos. Pavie then became the first Commissioner-General for France in Laos. Luang Prabang continued as an autonomous protectorate while Vientiane and Champasak were brought under the direct control of French colonial officials. 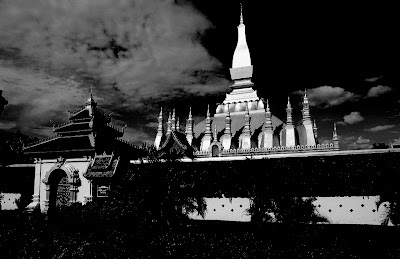 In time the three Lao kingdoms were brought back together and reunited into a single Kingdom of Laos. 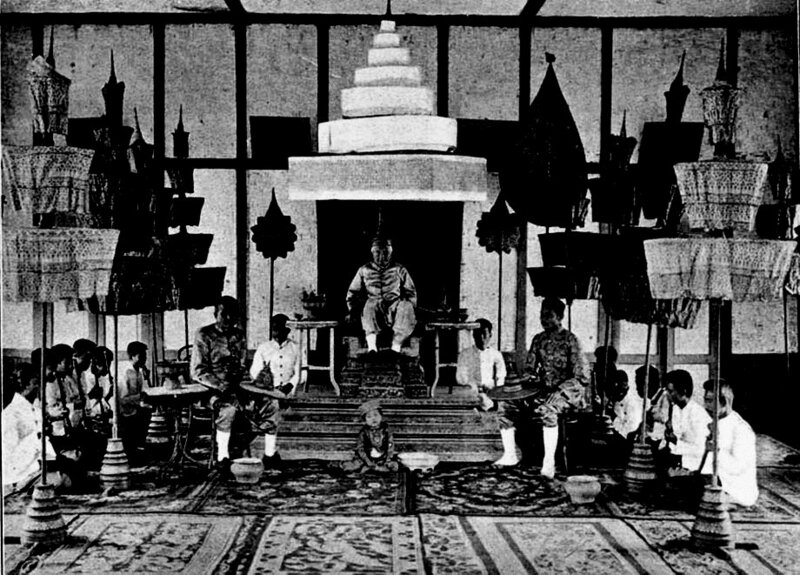 The protectorate over Luang Prabang was first accepted by King Zakarine, the son of King Oun Kham who had been made regent for his ailing father by the King of Thailand. He was an accomplished prince who had led Lao forces in repelling an invasion by the Chinese forces of the Taiping rebellion. It was the son of King Zakarine, Prince Sisavang Phoulivong, who presided over the reunification of the country and became King Sisavang Vong of Laos in 1904. The modern history of the country truly began with his reign. He had been educated in Saigon and Paris and his kingship was to be the beginning of a new era of Lao development and Franco-Lao cooperation; something he was totally committed to. The French built the new Royal Palace in Luang Prabang short after he came to the throne, a symbol of the start of a new period of unity and progress. 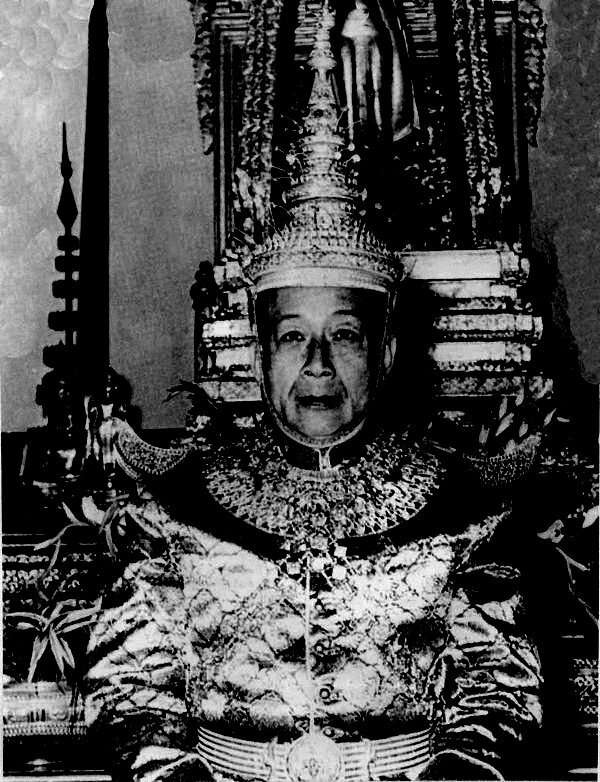 King Sisavang Vong provided steady and moderate leadership, becoming over his many years on the throne one of the most beloved and respected monarchs in Southeast Asia. He was also more fortunate than some other monarchs in Indochina alone as he was left mostly to govern as he wished, at least in the area of Luang Prabang and whereas French colonialism had brought the division of Vietnam into three pieces, it had brought unity to Laos, restoring the one kingdom out of three. King Sisavang Vong saw the lives of his people improve and was genuinely friendly toward France. This friendship was put to the test with the outbreak of World War II. After the German conquest of France the Japanese were able to assist their ally Thailand in recovering territory previously ceded to Laos after the Franco-Siamese War. This had an impact on King Sisavang Vong and made him all the more skeptical when Lao nationalists tried to enlist his cooperation in allying with the Japanese against the French. 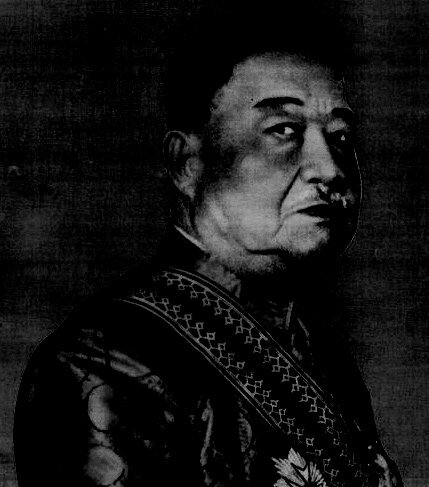 Despite the fact that Japanese forces dominated all of Southeast Asia, King Sisavang Vong refused to betray France and refused to cooperate with the Japanese. As a result, he was, in effect, deposed and replaced by a nationalist pro-Japanese faction that proclaimed the Kingdom of Laos independent of France. They seemed to have backed the winning side but, of course, they had not and following the atomic-bombing of Hiroshima and Nagasaki, Japan surrendered and withdrew from Southeast Asia. French forces returned and King Sisavang Vong was restored as King of Laos, of the entire country, in fact as well as in name, in 1946. While revolution gripped neighboring Vietnam, the Kingdom of Laos remained peacefully isolated from such chaos and both Laos and Cambodia experienced a period of great prosperity after the end of World War II. King Sisavang Vong was more revered than ever and celebrated his Golden Jubilee in 1954. A few years later his poor health forced him to hand official responsibilities over to his son as regent and he died in 1959, disliked by the xenophobes for his friendship with France but beloved by most people for his thoughtful leadership and establishment of the first constitution in Lao history. He was succeeded by his son, King Savang Vatthana, who was destined to be the last King of Laos. Despite the outward signs of peace and prosperity, there was a cancer growing in the heart of the country which was the Pathet Lao; a communist, revolutionary group born out of the Vietnamese communist movement of Ho Chi Minh. He had first established the Indochinese Communist Party and spread subversive groups into Laos and Cambodia as he intended for the Vietnamese Communist Party to eventually rule all of what was then French Indochina. By the time King Savang Vatthana came to the throne the Kingdom of Laos was a fully united, independent monarchy within the worldwide French Union. Also by that time the Vietnamese monarchy had been destroyed and the country divided into a communist north (supported by the Soviet Union) and a non-communist south (supported by the United States). The King was most concerned with keeping Laos out of the increasingly bloody, fratricidal war in Vietnam but this proved increasingly impossible. The Pathet Lao were fully dependent on the Vietnamese communists and were working to subvert royal authority in Laos as well as to support the war effort of their communist masters in Vietnam. Soon, the United States was intervening in Laos as well (unofficially) to counter the Vietnamese and their allies in the country. So it was that there emerged a three-front civil war in the little, mountainous Kingdom of Laos. 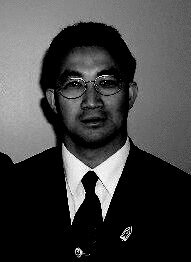 On one side were the communist and pro-North Vietnamese Pathet Lao, on the other side were the Hmong warriors, Thai mercenaries and other anti-communist pro-American forces and in the middle was King Savang Vatthana and the official Royal Lao Army which was trying to cling to neutrality and keep the other two sides from engulfing the country in their conflict. For decades this “unofficial” civil war raged across Laos and divided the Royal Family as well as the populace. 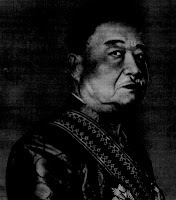 Prince Souvanna Phouma (who favored neutrality and was supported by the USSR, which did not want the war to spread) was in Vientiane claiming to be Prime Minister. 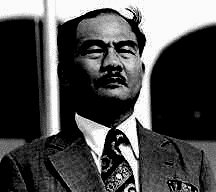 Prince Boun Oum of Champassak was in the south with the anti-communist forces and was recognized as Prime Minister by the United States. Finally there was Prince Souphanouvong, the “Red Prince” who led the communist Pathet Lao and was backed by North Vietnam in also claiming to be Prime Minister. The King was in the middle trying to bring all sides together and he was the only figure that Prince Souvanna Phouma and Prince Boun Oum would both deal with. The Pathet Lao, of course, were reluctant as their aim was the overthrow of the monarchy and the establishment of a communist dictatorship (which would actually be a puppet regime for North Vietnam). King Savang Vatthana wanted all three of the feuding princes to come together in a coalition government in an effort to please all sides and end the killing. Unfortunately, he was only partially successful. The National Assembly finally voted in Prince Boun Oum as Prime Minister and the King formally appointed him to the post in 1961 and the following year the King did get his wish in the establishment of a coalition government that included representation for all factions. However, the Pathet Lao were never committed to working within the rules of a constitutional monarchy and their plots and schemes against the other members of the coalition were continuous. In 1964 there was a succession of coups and coups attempts which forced the royalist and anti-communist factions together in closer cooperation against the Pathet Lao. The communists became increasingly uncooperative and by 1972 ceased to even pretend to support the legal, existing government, returning to their outright campaign of terrorism and subversion. It also made a difference, of course, that by that time it was becoming increasingly clear that the United States was on the way out of Vietnam and that the non-communist forces would soon be cut off by their primary supplier of funds, weapons and diplomatic support. Time was on their side. Especially after 1973 the United States had started withdrawing from Vietnam. In the next U.S. congressional elections after the Watergate scandal, the Democrats swept to power and immediately cut off funding for the war effort and all aid going to non-communist forces in Indochina. 1975 was the year of total victory for the communist forces of North Vietnam and, by extension, their fellow revolutionaries across Indochina. On April 17, 1975 the Khmer Rouge occupied Phnom Penh, starting “Year Zero” and the nightmarish regime of Pol Pot. On April 30, 1975 the North Vietnamese army marched into Saigon and the red flag was raised over the Dragon’s Head Palace. The royal government of King Savang Vatthana of Laos was the last to hold out. The Royal Lao Army had been devastated as early as 1968 due to a massive attack by North Vietnamese forces. After the fall of Phnom Penh and Saigon, the Pathet Lao were eager to renew their offensive against the royal government, which they did, with North Vietnamese support. King Savang Vatthana tried to organize a defense but many of his ministers and generals were giving up and leaving the country while that was still possible, due to the obviously hopeless position they faced. Finally, the Prime Minister ordered government forces to offer no resistance to the Pathet Lao, considering any further fighting would simply be a waste of life. The King bravely remained at his post, refusing to leave his people even as the government folded up around him. The communists took over without political opposition as they were already in control of the country. On August 23, 1975 the Pathet Lao occupied Vientiane and on December 2, 1975 forced King Savang Vatthana to abdicate. It was the first time in at least six hundred years that Laos was without a monarch. 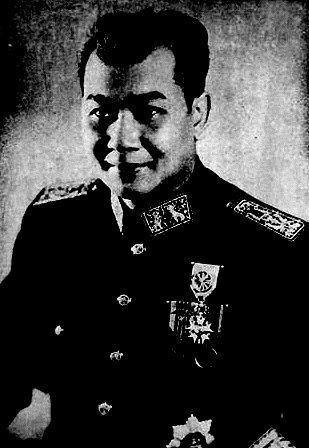 As in Vietnam in 1945, the communists at first pretended to be moderate and named the former king “Supreme Advisor to the President” who was the former “Red Prince” Souphanouvong. In fact he had no power or role at all in the new “Lao People’s Democratic Republic”, even suffering the indignity of seeing his home seized by the communist party. At first, they would have been glad to see him leave the country, but the noble King refused to abandon his people and was placed under house arrest. In time, the communists stopped fearing the King would stay and started fearing he would leave. They had promised a utopian paradise and instead had delivered only misery, suffering and oppression, backed up by the North Vietnamese. The Pathet Lao became increasingly worried that the King would escape the country and organize a resistance movement against them so, in March of 1977 he, along with the Queen and several other members of the Royal Family, were arrested and thrown into a concentration camp in the north for political prisoners. That was the last time anyone in the public ever saw him. The following year the communist government stated that the King, Queen and Crown Prince had died of malaria. However, there are conflicting accounts about when exactly the last King died and under what circumstances. In any event, his youngest son who had escaped the country continued to lead the opposition to the regime in exile. 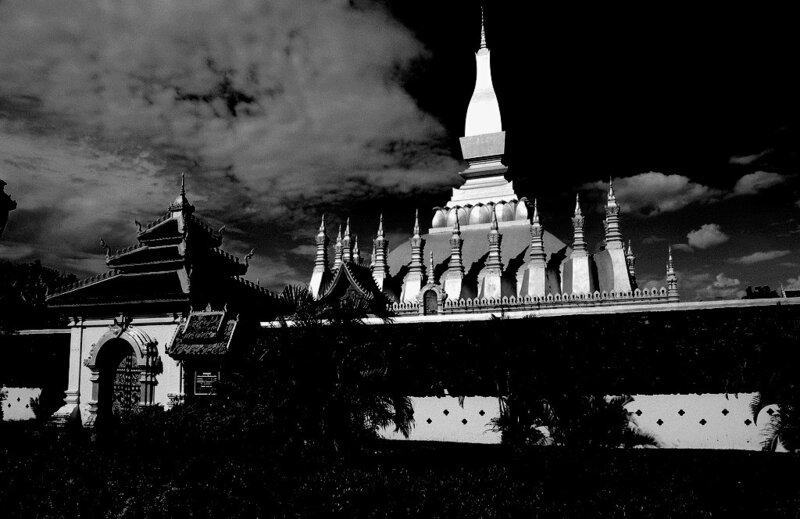 The subsequent history of Laos has been one of unrelenting tragedy. Cut off from China and Thailand, the Pathet Lao became hopelessly dependent on Vietnam and totally subservient to the communist leaders in Hanoi. In 1977 the Pathet Lao signed a treaty with Hanoi authorizing the Vietnamese to provide “advisors” which basically meant their taking over of the Lao army as well as the right to garrison 30,000 Vietnamese troops in Laos. It was only in the 1990’s that the ordinary people in Laos learned what had happened to their Royal Family and this caused great anger and resentment against the government. Some people even adopted the King of Thailand as their own, in the absence of a monarch in Laos. Some moves toward capitalism were made (at the insistence of the USSR) when the socialist policies of the government had brought Laos to a state of terrible poverty and starvation. Things have improved somewhat since then but the country remains occupied by Vietnamese forces and essentially a puppet-state of Vietnam, largely cut off from the outside world. Crown Prince Soulivong Savang, grandson of the last king, continues to lead the free Lao community from exile in campaigning for the restoration of the monarchy and the end of the communist dictatorship. When a family tears itself asunder a part of humanity dies with it. Very true. Unfortunate, but true. Thank you for the post. It gives us a better understanding of what happened to our country. Hopefully one day it will become free from communist rule and our people can.return to our motherland and help bring peace n prosperity back. I hope so. If it can be done, the Lao are the ones to do it. I have always been impressed by the Lao expat community for never abandoning their loyalty to the King, to their homeland and never forgetting where they came from. A very admirable nation of people. This is a great history about our Laos Country - Thank you for your post.Responding to "Som P email"....It would be nice for all of us to be able to go back to Our Homeland someday..going back to Lao Eesara..Free from Communist (Vietnamese Conquer)...hopefully!! there will be enough of our Natural Resources left...Not all Sold Out by people's Greed...Sad to see our Country to have Less Forestry... and Water Streams got cut short due to Building Power Dams...sad to the farming people...Gold Mines has been Tampered....Really what is there left for the country...sad.